How sad to see the slow decline of myTelegraph. The pages over which I roamed, meeting friends whom I will hold dear for the rest of my life, are crawled over by the bots who sell ‘Drugs Offshore’, ‘WU dumps’, ‘CVV’ and all the other inhuman detritus of the Dark Web. The heroine of my Victorian novel set in Birmingham has been out job-hunting recently. I have been her guide, with the help of an 1839 map, an 1839 Directory of Birmingham and Sheffield, a favourite blog: Mapping Birmingham, a couple of back numbers of Aris’s Birmingham Gazette from the British Newspaper Archive, Edmond Chadwick’s Report on the Sanitary Condition of the Labouring Population of Britain and Carl Chinn’s wonderful book ‘Birmingham: The Great Working City’. My heroine applies for work in a fruiterer’s, a tailor’s and a pin and needle manufactory (relocated for the purposes of my chapter from Bordesley Street) and is turned away. With a sinking heart she finds her way through a slum area to a dairy, an urban cowshed where the TB – ridden cows are fed on brewer’s grains, the atmosphere is rancid with the animals’ excrement and open milk pans are left on the dirty floor (thanks, Mr Chadwick!). It’s not her day. Elkington’s – the first industrial electroplaters in the world – had a factory on Newhall Street, Birmingham, which later became the Museum of Science and Industry. One of their early employees was one Joseph Lucas (1834-1902). After leaving Elkington’s, he sold paraffin for lamps from a handcart. He then decided to manufacture oil-lamps and persuaded some of his former colleagues from Elkington’s to join him. Branching out into bicycle lamps and accessories made him successful. His company has become Lucas Aerospace. Joseph Chamberlain (1836 -1914), MP and mayor of Birmingham, made his money in the screw-making firm of Nettlefold and Chamberlain on Broad Street which turned out 130,000 gross of screws a week. Nettlefold and Chamberlain became part of GKN (Guest, Keen and Nettlefold). The December theme for the Telegraph Creative Writing Group was ‘Spirits’, either of the ethereal or of the distilled variety. My entry ‘Silver Ghost’ was, however, inspired by thread. Not story thread, not discussion thread, just thread. A fascinating event yesterday: ‘The Writers’ Toolkit 2015′, organised by Writing West Midlands (WWM) and hosted in the beautiful Bramall music building at the University of Birmingham. I met old acquaintances and made new ones, feeling an energising sense of being part of a community of writers. I went to a workshop with writer William Gallagher, publisher Nadia Kingsley and Emma Boniwell from WWM about blogging – watch this space and see if it improves! William’s book ‘The Blank Screen: Blogging’ may help – and the advice was to post something no less often than every three weeks. Snippets of research connected with, but not duplicating, one’s WIP, may be the thing. A workshop about small presses with Jo Bell, Nadia Kingsley and Simon Thirsk highlighted for me how much work publishers have to do. Design, printing, warehousing, distribution, representation in bookstores. Managing the whole time-line. An argument against self publishing: it will not get one’s books into Waterstone’s. Either way, the writer has to build the public profile of the book with talks, book signings, media interviews and social media. ‘Working with libraries and archives’, with Jefny Ashcroft, Joel Stickley and Roz Goddard highlighted the key role of libraries as egalitarian and accessible cultural spaces where arts events – lit fests, workshops, writers in residence – bring readers closer to books: “Libraries are the lifeblood of literature”. Jefny spoke passionately about the excitement of archives and how they can give the writer access to something which has not previously been written about, offering the chance of writing something unique and original. Archivists can be tremendously helpful to the researcher who contacts the archive in advance of visiting and can offer appointments to help the researcher find what they seek. The point was made in discussion about the nationwide threats to our libraries and archives as a result of austerity, highlighted here in Birmingham with the severe cuts to our library services. They need support and they need people to go in and use them. ‘Speed pitching’, run by Olivia Chapman from WWM, was a fun and challenging session. The audience were divided into pairs and we had two minutes in turn to pitch our novels to one another. Then we regrouped and tried again. Trying frantically to remember to include genre, theme, setting, key characters and plot twists, and why anyone could possibly want to read it, in front of a complete stranger, was a challenging exercise! One writer gave me a wonderful description of her Gothic, supernatural mystery set in a remote mansion in rural Shropshire. I could almost see the dark old house under moonlight. Then her two minutes was up. ‘Oh damn, I forgot the taxidermist!’ she said. We looked at each other and burst out laughing. I really want to read this book!! ‘Secrets’ is the theme (set by ME!) for the Telegraph Creative Writing Group November Short Story Competition. My story, ‘A Month at Bath’, is a Regency pastiche involving a gambler’s secret. It makes reference to the historical figure of John Law, a gambler and banker who caused an economic crisis in France in 1720. The Telegraph Creative Writing Group September theme was ‘Hype’ and ‘Hinky-Dinky, Parlay-Voo’ is a short story about the conflict between the hype of war and the reality of war. I was on holiday in the Ardennes, where it rained every day and our campsite turned to soft mud that the driving rain spattered a foot high up every surface. Thinking every day that the end of the month deadline for the story was drawing near, and here I was in this muddy place not doing any writing. On the way back to Calais, a town now bound in everyone’s minds with the refugee crisis and the grievous human costs of war, we had arranged an overnight stop near St-Omer. We passed Armentières; the name stuck in my mind. We passed Hazebrouck, where one can glimpse the graves from the bypass. On the Michelin map one can trace the Western Front in a scatter of crosses that mark the WW1 cemeteries. The story came into my mind in a jumble of fragments and dialogue, typed into my iPad at odd moments. 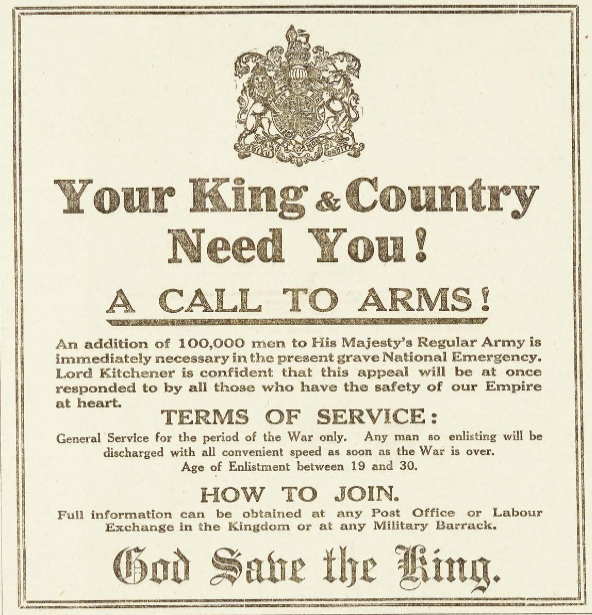 I had an idea that the jingoism of that period would fit with the ‘Hype’ theme. When I got home to my desk I googled ‘Armentières’ and the song ‘Hinky-Dinky, Parlay-Voo’, one form of which begins ‘Mademoiselle from Armentières’, struck me as one of the most irritating tunes ever written. And there we have it. #amwriting The brief for the Telegraph Creative Writers’ Group August Competition was a 500-word short fiction on the theme of ‘Nightingale’ and one option was the plaintive song of the nightingale threaded through a tale of unrequited love. ‘Adam‘ was my take on this. The image is pixellated from a painting by Theodore Gericault dating from approximately 1820. My May story, ‘Meat’ is about a serial killer on a hog farm. I was delighted that my March story ‘Gold, and Blue…’ came first in the voting! The April theme for the Telegraph Creative Writing Group competition being ‘Health’, my story of the month ‘Smoking is bad for you’ is a 500-word short fiction about a survivor of children’s home abuse. Inspired by the Crown Prosecution Service’s decision not to prosecute Greville Janner due to his dementia. All characters are fictional.